Or they may have been trying to dial there candle stick phone. The big car is an Apperson 8, I do believe - the radiator badge is a numeral '8' with a rabbit jumping through it. That's a 1917 or 1918 sedan - note the side lamps. 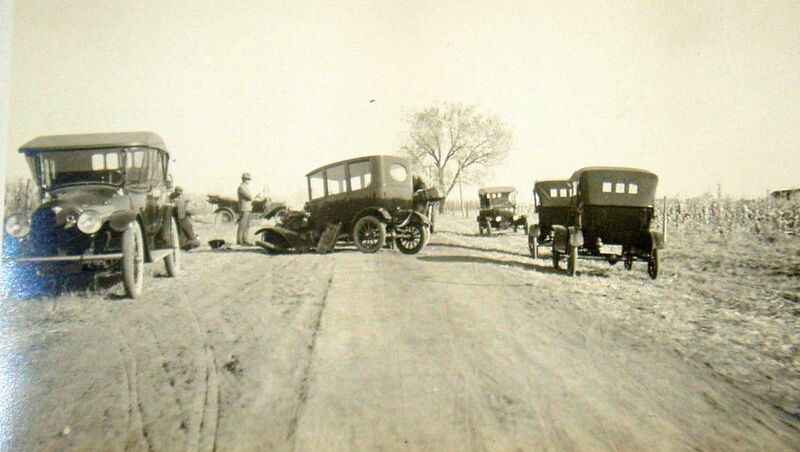 The other Model T's stopped to help their brother. 7th car hiding behind wreck? has 2 spares,lh rear tire/fender peeking from behind wrecks rh rear tire? A salesman's car? Driver of wreck caused accident, removed license plate and is hiding in the corn field?